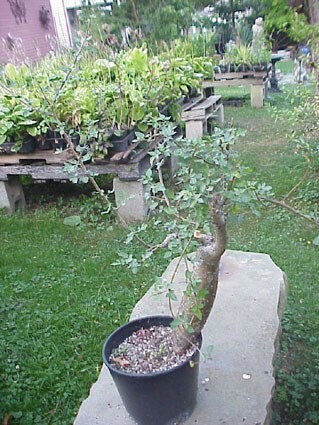 Named for the pinnate leaves resemblence to the Prickly-Ash family such as fellow West-indian native, the Satinwood. 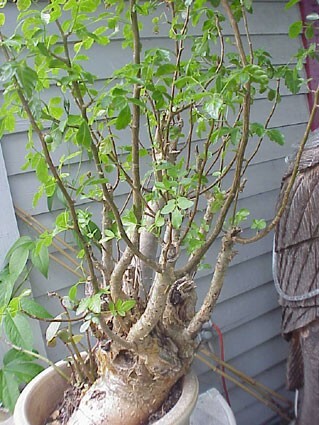 Heavy trunks topped by interlaced limber stems with strong fragrance, thus the "Mexican Frankinsence Shrub." 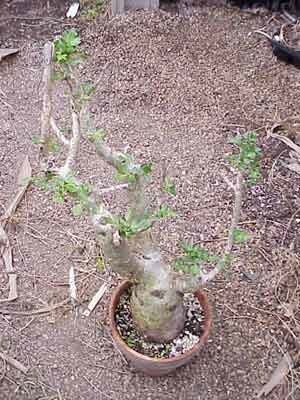 Fabulous in the greenhouse succulent collection; handsome as a sunny windowsill potplant; always popular among bonsai fanciers as the leaves remain petite and the trunk becomes more and more swollen with fascinating bark. 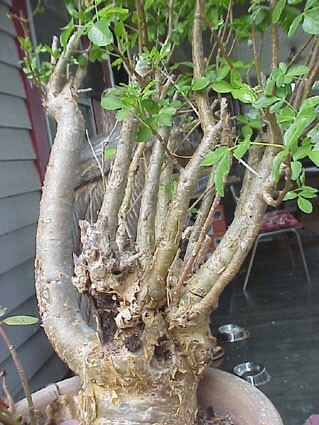 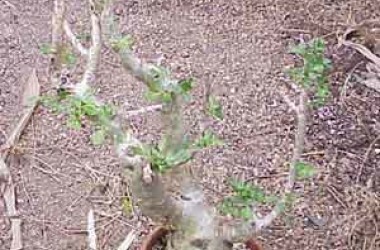 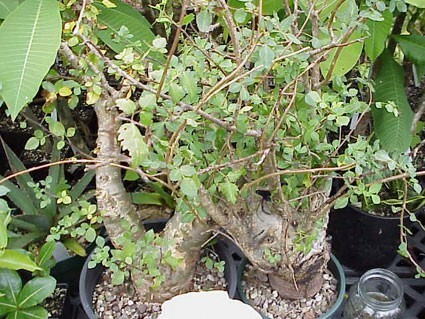 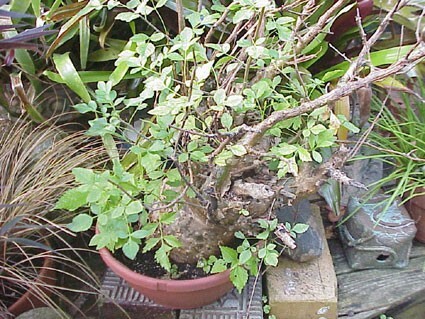 We include several pictures of older trees in pots. 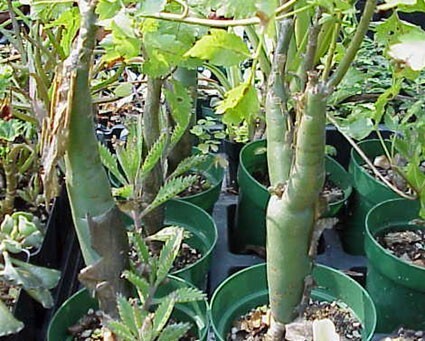 Older large statured plants are typically available at about $100.00--please inquire about these much older, larger specimens--we prefer that you purchase them here at the nursery as each specimen has its own character and personality and thus needs to be chosen on sight, on site.